Shwedagon Pagoda, Bagan Temples tour, Inle lake boat tour, Mandalay tour. Remark: Hotels mentioned are subject to change by the time of booking. In that case, the same ranking hotels available will be suggested accordingly. Remark: Domestic flight times are subject to change without any prior notice by the airlines. Mingalarbar! Welcome to Golden Land of Myanmar. We hope you had a smooth flight to Myanmar. On your arrival, you will be warmly welcome by one of our guide/representative with a greeting in local language. And then you will be transferred to your hotel for releasing your jet lag. Used to be a capital of lower Myanmar and ruled by British Government nearly 100 years or so, Yangon enriched hundreds of colonial architectural trove of buildings. You will stroll in downtown and enjoy the atmosphere of British era and lively daily activities of Yangon. No vacation is complete if you missed out Shwedagon Pagoda. You cannot help admired in its shape and glowing structure. Overnight stay at the hotel in Yangon. After having breakfast at the hotel, you will be transferred to the airport for your onward flight. Bagan is an ancient archeological zone and was the home of first Burmese kingdom from 9th to 13rd century. Whatever you fly over or drive through, you will be surely dazzled by the thousands of brick-colored temples over the 16 sqkm area. On your arrival to Bagan, you will be transferred to your hotel for check in and drop off your luggages. Ananda temple is the most finest architecture in and out of the temple among others in Bagan. Another one of the highest temple in Bagan, you will visit Htilominlo temple. Solid, gigantic and well-structured, Dhammayangyi temple is not only the culture or religion matter but the advanced masonry of ancient architects are on sight. 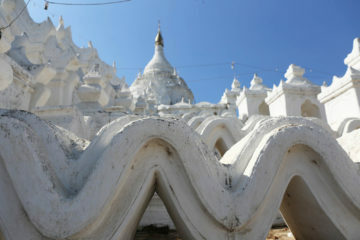 Temples alone do not make Bagan, village and people are another way of attraction how Bagan is named. You will explore local way of living, handworks, arts and crafts, local encounter, but home-stay is not allowed. Don’t miss off this occasional chance of watching the world as she magically alters her spectrum of colors in the evening sky over an elevated point to the west. You will get astonished all the way the Sun drags all her glowing light over the horizon along with her subsidence to the west and everyone exclaims. Bagan is not just plainly for the marvellous temples, yes also for her wonderful sunset and sunrise. After having breakfast at the hotel, you will be transferred to the airport for your onward flight for next destination. All the way to Inle lake, you will stop awhile at the town called Heho and you will see a local workshop where paper-related products through very traditional process. On arrival Nyaung Shwe, you will be transferred to the jetty for your boat transfer to hotel or excursion in the lake. 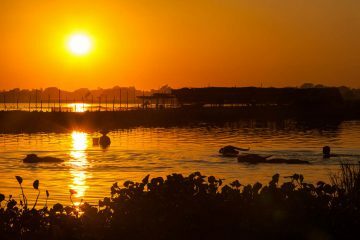 Enjoy the scenic boat ride along the channel into the lake and you will see the leg-rowing fishermen standing up one edge of their flat canoe holding fishing net and spear to catch the fishes. As you keep enjoying boating, you will see the floating garden fruitfully grown vegies on it. 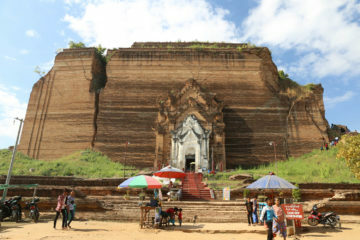 You will explore PaungdawOo pagoda, Nga-pe-chaung ancient wooden monastery, local handy business such as silverware, bronze-ware, lotus weaving factories and etc. In the evening, you will return back to hotel and overnight. 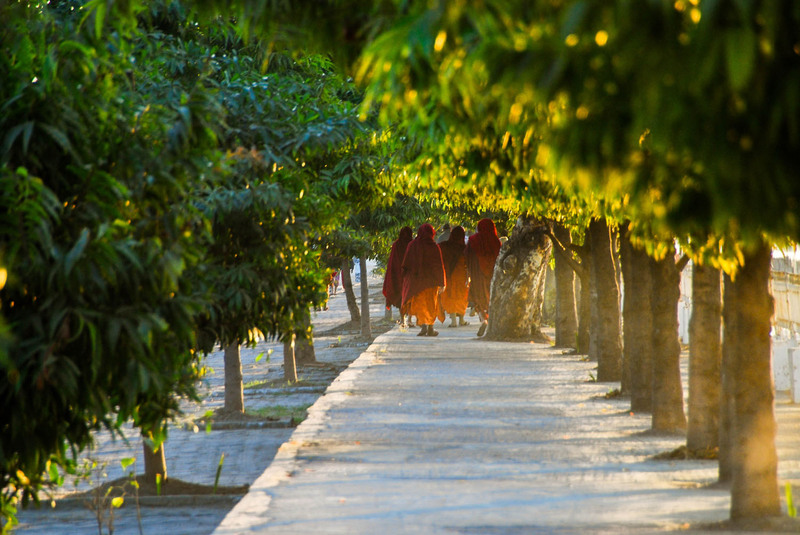 Mandalay is the second-largest city and the last capital of Burmese Kingdom after third Anglo-Burmese war in 1885. You will be welcome by one of our local guide/representative on your arrival and transferred to your hotel. Mandalay is the workshop of the expert craftsmen and you will not omit a visit to some handy workshops such as gold leave making, woodcarvings, tapestries and finest silk weaving arts. Sitting Buddha, which is one of the most revered Statues and completely gold-gilded applied by the male devotees on daily basis. Visit Kuthodaw Pagoda, frequently dubbed as “The World’s Biggest Book” for its collection of 729 marble slabs inscribed with Buddhist teachings. It’s off to the Shwenandaw Monastery, the Golden Monastery which is the only durable structure from the Royal Palace of the 19th century. You will not fail to appreciate the floral décor of Burmese wood carved designs. You can walk up to Mandalay hill about 240 meter above the city. You will be amazingly rewarded by the panoramic view of Mandalay and surroundings, the foggy blue outline of Shan plateau in the east, ceaselessly flowing Ayeyarwaddy river in the west and Mandalay palace and many more. As the sun sets, you will return back to the foot of the hill. Overnight at the hotel in Mandalay.